Buzz: Wednesday Night Whinos at Ruth’s Chris November 16th! The region’s most popular ladies social club will meet up at Ruth’s Chris Steak House for an incredible evening of girlfriend fun! Wednesday Night Whinos, AroundMainLine.com’s popular ladies social club, will host a very sophisticated social on Wednesday, November 16th at the world renowned Ruth’s Chris Steak House in King of Prussia! All local ladies are invited to join us in the stunning newly renovated bar for complimentary cuisine and networking from 6pm to 8pm. A cash bar will be available as well. Business casual attire is highly recommended as we gather to meet and network with the region’s top businesswomen and great gals. RSVP is not required, as we always welcome walk-ins to Whinos, but it does greatly help us to plan accordingly with the fine folks of Ruth’s Chris. Click here to RSVP to Wednesday Night Whinos at Ruth’s Chris on Facebook! Or kindly send us an email to let us know you will be attending: rsvp@aroundmainline.com. 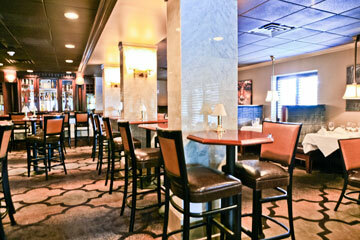 Ruth’s Chris Restaurant is located at 220 North Gulph Road in King of Prussia. To make reservations call 610-992-1818 or visit them on OpenTable.